Are you looking to convert your garage into a usable space? Maybe you need a warmer (or cooler) place to work on DIY projects or you’re building a home gym. Whatever the reason, we collected expert tips from Bryan Sebring at Sebring Design Build to help you learn how to insulate your garage. First, let’s answer your garage insulation questions. Do I Need to Heat My Insulated Garage? Before you jump in, ask why you’re insulating your garage. If you’re trying to heat the space, keep in mind that insulation alone may not be enough. Depending on where you live and how cold it gets, you’ll also want to use a heating source for the room. Insulation simply helps to contain the temperature, whether hot or cold, and prevent it from escaping through the walls and ceiling. How Much Does It Cost to Insulate a Garage? Garage insulation costs vary based on the size of the space and the insulation you purchase. Sebring estimates it costs about 50 cents to $1.25 per square foot to insulate a garage. This means insulating a two-car garage would cost about $338 - $845. There are several different types of insulation you can use, but Sebring recommends using fiberglass insulation sold in rolls or batts (precut sections) to insulate your garage yourself. He says this is the easiest DIY choice. Easy to handle and use between framing. Can be used in all areas – floors, walls and ceilings. If you’d prefer using any other kind of insulation, he suggests hiring a professional. 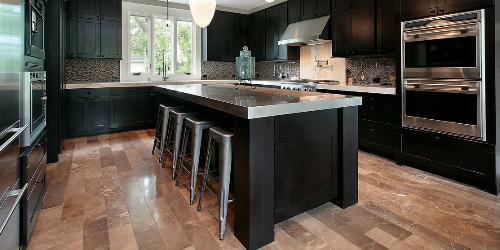 Some materials are harder to find, more expensive and require more experience to install. Loose application may cause it to lose up to half of its effectiveness. Requires a special machine for installation. Can be difficult to install in some spaces. Could be too heavy depending where it’s used. May require additional work, like drywall and framing. Can settle over time, reducing effectiveness. Must be cut to fit around pipes, outlets, etc. Not structural – can’t nail anything to it. Insects and pests can tunnel through. Air-tight – may need fresh-air ventilation to meet safety and building codes. 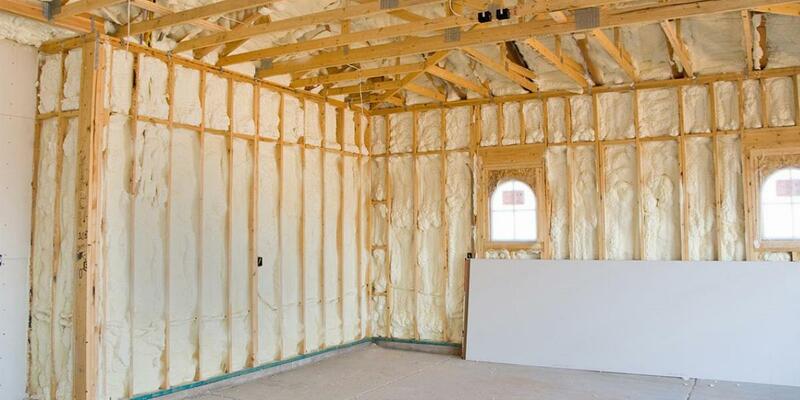 Fiberglass insulation consists of extremely fine glass fibers with a paper face on top of it. It is often sold in rolls or bags and looks fluffy. Fiberglass insulation comes in different R-values. 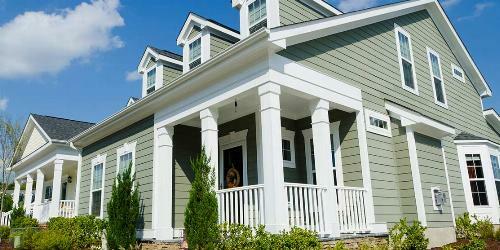 According to The Home Depot, R-value measures how well certain building insulation materials resist heat. Therefore, the greater the R-value, the greater the ability to insulate. Most older homes were built with 2x4 studs. (A stud is a vertical framing piece in a wall. It’s also often referred to as a 2x4.) For these, use R-13 insulation. Some newer homes (built in the last 10-15 years) were built with 2x6 studs. These require R-21 insulation. Use R-40 thick insulation for the ceiling. *Special thanks to Bryan Sebring from Sebring Design Build for sharing his expert tips on suggested supplies and the following step-by-step process. We can recommend which type of insulation to use and how to install it, but you’ll need to determine how much of each material you’ll need for your particular garage. Below are some guidelines for determining the quantity or type you’ll need of each material. Fiberglass insulation: To find out how much insulation you’ll need, measure the linear feet around the entire room and multiply it by the height of the room to get the square footage. We recommend buying an extra unit of insulation. You can always return it if you don’t use it. Garage door insulation kit: You don’t have to use a kit for the garage door, but we recommend it. Use this guide on the best garage door insulation kits to find one that works for you. Expanding foam: If you have gaps and cracks in your wall, you’ll need to fill them in to make sure outside temperatures don’t creep inside. Expanding foam comes in a low-expanding and high-expanding form. The kind you buy will depend on how big the spaces in your wall are. Drywall: The same measuring technique and purchasing recommendation as insulation applies. Gloves and long sleeves: Fiberglass can irritate your skin. We suggest wearing gloves and clothing for protection. Sharp utility knife: This will be used to cut the insulation. Wood: This will be used as a guide on top of the insulation to make it easier to cut it down to the right size. Staple gun and staples: These will be used to staple the insulation into place. If your garage has drywall, remove it. Consider renting a residential dumpster to toss it away. Make sure to clear up any dirt and clear out the stud cavities. Look for mold and clean up any chemicals in the garage, like gasoline or fertilizer. Find your nearest hazardous waste collection center to safely dispose of these materials. Get your expanding foam and vigorously shake it for about one minute. Attach the straw to the can and hold it upside down to spray it in the openings. Only fill gaps about 50 percent full. The foam will continue to expand and fill the space. Give it about five to 15 minutes to continue expanding and become tack-free. It should be completely cured - or hardened – in 8 hours. Staple the paper face of the insulation to the side of the stud, NOT the face of the stud. You’ll need to leave the face of the stud exposed to install the drywall on top of the insulation. Put a piece of wood on top of the insulation to use as a guide to cut the insulation to the right size. Use a utility knife to cut excess insulation so it fits the size of the stud. Tuck the insulation in to make it easier to staple. Staple the insulation all the way down the side of the stud. Screw and glue drywall to the stud. Do not leave the paper of the insulation exposed. This is a fire hazard. Insulating the ceiling of your garage involves the same process as insulating the walls. Just remember to use thicker R-40 insulation. Safety Tip: Measure the height and width between the framing in the ceiling and pre-cut the pieces you’ll need. This will help while you’re up on the ladder. Insulating the ceiling is the most important part of the garage because heat rises and escapes through the roof. Similar to wearing a hat in the winter, you need to make sure the top of the garage is protected to trap the heat in. Insulating a garage door can be more involved than insulating the walls and ceiling. The easiest option is to buy an already-insulated door. If you’d prefer to cut costs and stick to the DIY option for insulating a garage door, we recommend buying a garage door insulation kit. The process should be fairly similar to insulating the walls and ceiling. Keep in Mind: When you insulate the door, you’re adding weight to it. You many need to change the springs to retain tension and balance so that it stays closed properly. This is why it may be easier to get an already-insulated door or have a professional help you. Now that you’ve insulated your garage, you’re ready to complete the transformation. For more DIY projects or home update ideas, check out our DIY vs. pro project comparisons post. From making an offer to budgeting for renovations, rehabbing a property is a big job. Learn how to flip houses the right way with expert advice from Kamm’s Corners Development Association.